This post is actually pretty low in the amount of swag contained herewithin. In fact, I’m not even going to mention any specific swag. 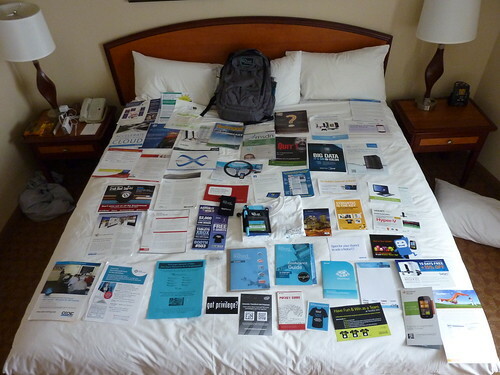 Instead I’m just going to show you a picture that helps illustrate the amount of stuff (mostly marketing materials that go right into the recycle bin) that is in the confernece bag you receive at TechEd.